Welcome to Galloping Gems, Inc.
We specialize in providing exceptional customer service for gems and jewelry. If you're looking for exquisite jewelry, gems, or even custom made jewelry, you have found the right place. 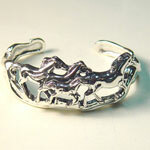 We carry a full line of equestrian and horse jewelry. 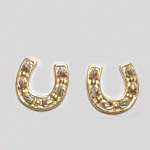 We can make custom equestrian and horse jewelry of any kind, including horsehair jewelry made from your horse's hair. 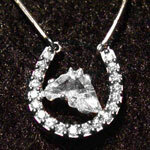 We offer rare horsehead cut custom diamond jewelry as well. Other animal motif jewelry is available upon request. We also carry Black Hills Gold and birthstone jewelry. Our full range of Services include Appraisals, Gem Identification, Repairs, and Consultations. We hope you'll enjoy your experience here and feel free to Contact Us with any inquiries or comments. You may also review our Policies page for more information. Be sure to check out the Sparkling Offers page!